You'll want a nice new 4K Blu-ray player to match all of those deals you've been snagging and this is just the ticket. 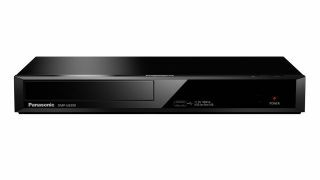 This Panasonic model will play all of your 4K Blu-ray discs and can even do a bang-up job of upscaling the HD discs you already own, and right now it's available for more than half off of its standard price of £279.99: you'll only need to drop £129.99 to pick it up right now, at least while stock remains. Update: this is an old deal. Check out all the Black Friday game deals for 2018. Panasonic 4K Ultra HD Blu-ray Player for £129.99 (was £279.99): 4K Ultra HD Blu-ray players are essential to get the most out of your 4K TV, and now finally you can get one without breaking the bank. It also has solid upscaling and streaming tech built in for getting your media from multiple sources. Currys is selling this for £129.99 down from £279.99.